Many individuals may think of John F. Kennedy’s 1961 inauguration speech when they think of civics. Kennedy states, “And so, my fellow Americans: ask not what your country can do for you—ask what you can do for your country.” Kennedy’s statement suggests changing the structure of a citizen’s relationship with civics. The new structure is one in which citizens’ think of how they may help their country, rather than how the country can help the citizen. A citizen helping their country may result in increased civic participation such as volunteering or voting, which improves democracy. 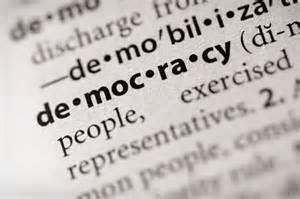 Even with the realization that civics is an important factor in democracy it appears civic participation continues to decline. Before answering the question “whatever happened to civics,” let’s first ask, what is civics? The Merriam-Webster’s Collegiate Dictionary describes civics as, “a social science dealing with the rights and duties of citizens.” Most people associate civics with voting and participating in a democratic society. But how many people understand their civic rights and duties? It appears civic understanding is declining in the United States. The United States Department of Education 2010 Nation’s Report Card on Civics reports, “The average civics score in 2010 for the nation’s twelfth-graders was lower than the score in 2006 but not significantly different from the score in 1998.” The Secretary of Education, Arne Duncan, states, “Fewer than half of all Americans can name the three branches of government.” These reports are troubling as it is crucial that individuals understand civics because it forms the foundation of our democracy. Richard Coley and Andrew Sum report education, age and income are factors that influence the level of involvement individuals have in civic activities with voting as a major activity. Oren Levin-Waldman’s article on income levels and civic participation reports, “individuals with higher incomes and/or from households with higher incomes will be more likely to be engaged in civic participation.” Accordingly, the higher the income and education of an individual, the greater participation they have in civic activities. Higher wage earning individuals have access to newspapers, television and the Internet that helps keep them stay informed on current events and civic activities. Furthermore, these individuals have the resources to meet their basic needs, which allow them to focus their energy on other activities such as participating in civics. This author argues that it is difficult for individuals to engage in civic activities, which supports democracy, when they are struggling to make ends meet. Working one or two low paying jobs to pay the rent and put food on the table leaves little time to be civic minded. Research shows when individuals struggle to meet their basic needs they are highly more likely not to participate in civic activities. This author believes that civic understanding and participation is declining because of income disparity. Research shows those with resources are more likely to engage in civic activities than those who have limited means. Civic participation should concern all of us, as democracy is dependent on all citizens actively participating in the process. All citizens must have the opportunity to be heard. When one segment of the population’s voice is not heard, our society misses an opportunity for understanding and slowly erodes the foundation of our democracy. Therefore, we must strive to build a community of civic-minded individuals who have the resources they need to be active participants. Author: Terry Quadros is an administrative analyst at the Superior Court of California, County of San Francisco and has worked in the judicial branch for nine years. Ms. Quadros earned a master’s in public administration. Starting December 2014, she will be a doctoral student at the University of Phoenix. Ms. Quadros is interested in conducting research in the field of public administration pertaining to organizational leadership and operational efficiencies. You may reach Ms. Quadros at [email protected].